March is such a great month because it’s name is action and kids love to be active, so today’s play idea is a March action sequence fun game for kids. 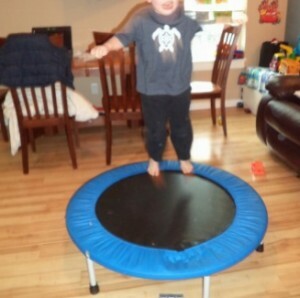 After a bit of hopping, you may suggest another action, “After those, could you try some jumping?” Go thru a whole selection such as hop, skip, crawl, jump, roll, slide, swim, fly, slither, etc. When kids–or you–seem to need a break, you can finish off with, “How about some hugging?” You can tailor the number of actions to your child’s need and energy, and also yours. Sitting is an action too. The whole idea of sequence is pretty tricky for kids. 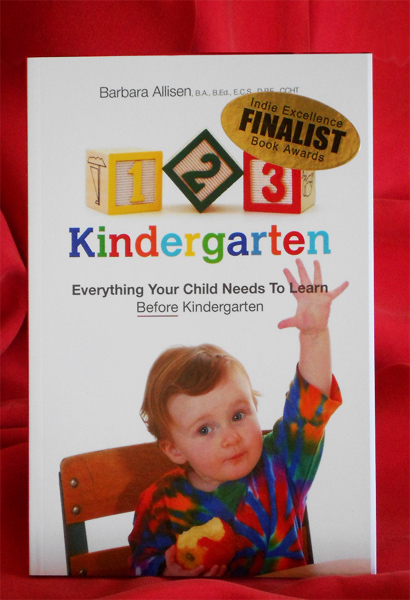 We’ve often heard kids get mixed up about who did what first or who was playing with something first. The explanation “I was playing with that first,” may be referring to something just a few minutes ago or yesterday. Not only are kids trying to figure out the order of events but they are also trying to clear up this fuzzy concept of time. 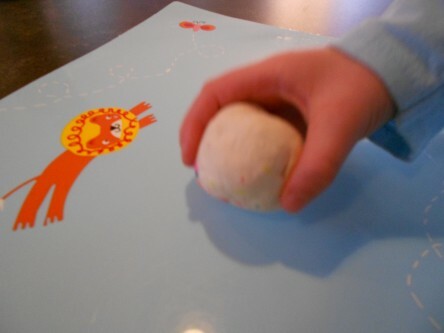 Using this action game, make it a little more challenging and give your child two or three to do in a row, such as “March first, then hop, and last roll. And do it again: march first, then hop, and last roll.” This helps practice doing things in a sequence. Some kids can only cope with 2 actions, some may be able to do 3 or 4. It’s okay if everybody gets mixed up, it makes for giggles. Kids also like to tell grownups 2 or 3 things to do in a row. Do the sequence a few times and then get really confused. Days need more laughter. This March action sequence fun game isn’t just for kids. Maybe it’s great for adults too? Not everywhere has snow, but even without it here is an activity from last year that supports both fun and the kindergarten readiness skill of sequencing. 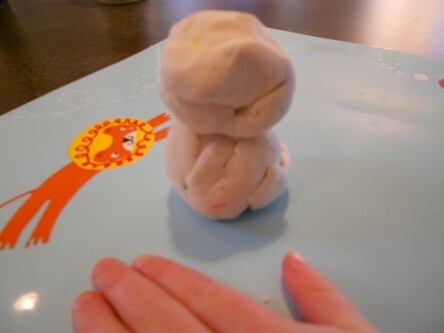 It can be done while warm and toasty inside with playdough, or outside in the real kind. 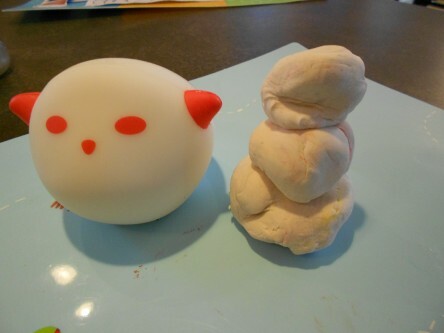 Before starting, talk about making snowmen. 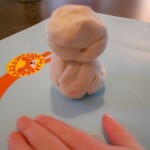 Ask your child or students about how to make one with playdough. What other things are needed? The talk time is a very important part of the project and encourages language learning. 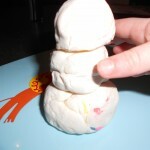 With a batch of white playdough, have your child or students roll out the first ball. ***If you can, take a picture of just this first ball. *** Roll out the second ball. ***If you can, take a picture of this second ball. *** Roll out the third ball. ***If you can, take a picture of this third ball. *** Now, add some bits and pieces for the face. ***If you can, take a picture of the whole snowman. *** Print the pictures and cut them out to make 4 images that can be shuffled up and put back together. 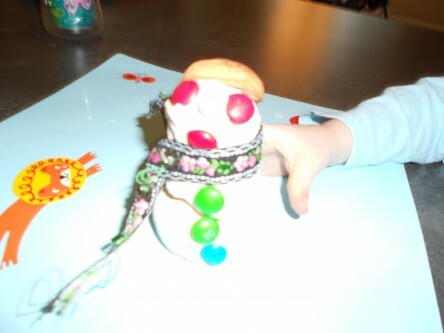 Now, that the snowman is done, the kids can tell all about doing it using the pictures. What happens first? Then what happens next? 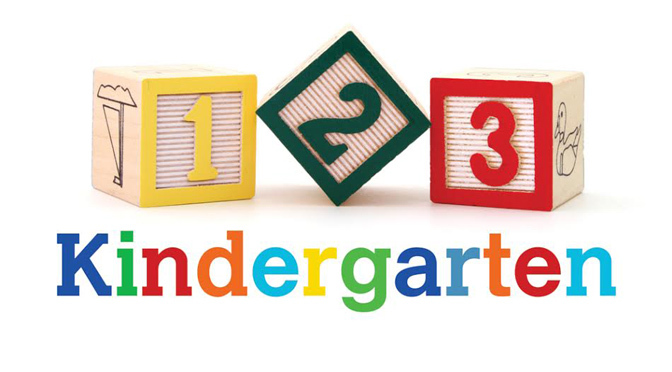 Putting the pictures in the right order can be a challenge for kids, especially the younger ones, while older ones may be able to use 5 or 6 pictures to put together in a sequence. In any case, this is another activity where kids will need lots of experiences with sequencing before they understand the concept. 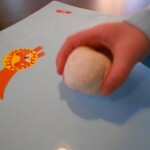 It also gives them practice looking at visual clues and manipulating images, skills needed later for learning to read. 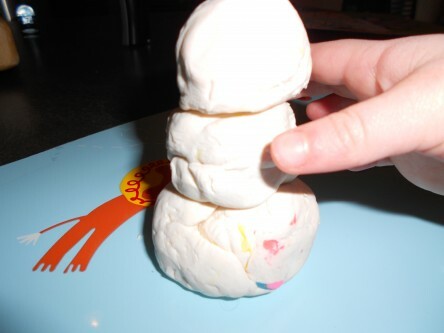 On snowman making days, you may be able to take some pictures of real ones so that the kids can re-build the snowman long after he melts. All on her own, one munchkin found this lamp and brought it over because it’s “…kinda like a snowman.” This one won’t even melt. 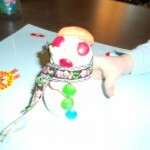 Will your child be able to make a real snowman or just a pretend one? Because this is a difficult concept, lots of play with differently sized objects is needed. 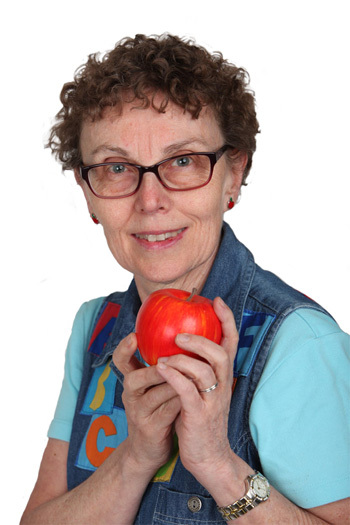 Kids need to repeat their exploration many times as the brain makes the connections to figure out how objects can be sequenced by size. 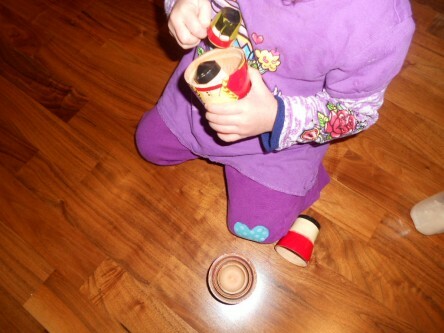 Babies love to put things inside other things, take them out, and put them in again. Sometimes, taking things out is not as easy as putting them in, like keys in a water bottle! 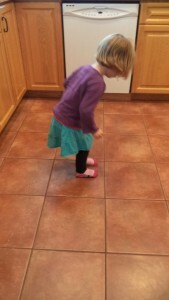 Older preschoolers like to discover just how tight the fit can be! Confession time: have you ever tried this too? Kids might also enjoy playing with pots and pans, plastic bowls, cups, and other everyday items as they explore and discover size relationships. What other things can you suggest for this idea?